Secret To Earning Extra $$ For The Holidays Revealed… Just Fill Out This Quick Form! Are you in need of some extra income but you need flexibility and the ability to set your own schedule? If so, you have to learn about this great up-and-coming money maker: become an Uber driver! Uber drivers set their own schedules based on their availability and how much income they want to earn. In order to become a driver, you must first fill out an Uber driver application to make sure that you qualify. Some cities and states require Uber drivers to have cars less than 10 years old. Some states and cities have less stringent rules for their Uber drivers. You must complete a 2 part application process before you can find out if you have been approved to drive for Uber. Begin by entering your name, email address, and phone number. Be sure to indicate if you have have a car or need a car. You must also create a password. After that, you must verify that your car has 4 doors, was not salvaged, and is from 2006 or newer. You must be 21 or older to be a driver for Uber. Next, you must enter your social security number which is used to check your background. From there, complete the remaining application questions and forms. We hope you are approved so you can start earning extra income as an Uber driver! AMAZING Eco Lips Freebie Sample Offer You Won’t Want To Miss! For a limited time, Eco Lips is offering a FREE lip balm sample of their awesome Pogo lip balm! In order to get your lip balm, all you have to do is complete the form. Just enter your email address, address, and the lip balm flavor you would like to try. You can choose from vanilla cake, iced iced berry, yumberry, unscented, split banana, coconut, mint mint, apricot peach, and true vanilla bean. You must verify that you are not a robot in order for your freebie request to process. Once you submit your freebie request, your lip balm sample will be delivered right to your mailbox within 7 to 10 days. Be sure to share this freebie offer with your friends via social media by using the hashtag #POGOItForward. Then all your friends can get a FREE sample of Pogo lip balm! In order to get this freebie, you must be 18 years of age or older. This offer is limited to one FREE lip balm per address. Please note, this awesome freebie offer is only open to residents of the continental United States. Don’t wait too long to request your awesome freebie! Hot deals like these do not typically stick around for very long! Do you like Victoria’s Secret merchandise AND freebies? If so, today is a really great day for you! If you are a member of Pink Nation, you can claim a very special offer for a Victoria’s Secret Free Sample Pink Nation head band. This offer is only available in stores today (Tuesday, June 28). If you are not already a member of Pink Nation, it is not too late to sign up and join for free. After you log into your account or sign up, you can print out a coupon for your freebie head band. Take the coupon with you to the store and hand it to the cashier to redeem it. The stretchy head bands come in pink or black with the words ‘Pink Nation’ on them. No purchase is necessary to get your freebie. Please note, in store quantities of the head band may be limited. Don’t wait too long to go to your local Victoria’s Secret today to get your head band! You may want to call ahead to ensure that your local Victoria’s Secret store is participating in this freebie giveaway and still has head bands in stock at their store. This special offer is limited to one per person! Request A FREE NYX Mascara Sample Offer! NYX is currently offering a FREE sample of their Double Stacked mascara before it hits shelves! There are a limited number of mascara samples that will be given away, so don’t want too long to request your sample! Scroll to the bottom of the NYX page to request your sample. This offer officially ends on May 17. 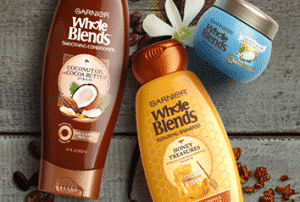 FREE Garnier Whole Blends Shampoo Sample! While supplies last, you can request a FREE Garnier Whole Blends shampoo sample from Walmart! To get your freebie, just fill out and submit a short form. Once you submit your request, your sample should arrive in your mailbox within five weeks. This is an in-demand offer, so request your freebies while you still can! Reminder: FREE Guacamole And Chips From Chipotle! The other week we ran this post to let you know that you could get FREE guacamole and chips at Chipotle! We wanted to remind you that you can still get your FREE guac and chips. To get a coupon for your freebie treat, just play a brief game on the Chipotle website. Then, your coupon will be sent to you via text message. FREE Guacamole And Chips From Chipotle!! Who likes FREE guacamole and chips?? 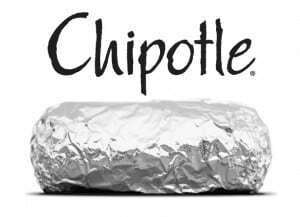 If you do, check out this special offer from Chipotle! You can get a coupon for FREE guac and chips when you complete a fun puzzle game on the Chipotle website. Win or lose, you still get your freebie coupon. Once you have completed the puzzle, enter your email address and phone number to get your coupon via text message. Get A FREE Redbox Rental for a Video Game Today (Feb 10)! FREE Redbox Rental for a Video Game Today (Feb 10)! Redbox is offering another FREE one-day rental deal, but this time you can rent a FREE video game! You cannot reserve a game on the Redbox website, so you must visit a Redbox kiosk in your area to get your FREE video game rental. To get your freebie, enter the special promo code GAMEON at check out. I almost forgot the best part! This offer will be valid every Wednesday in February! Be sure to check the Redbox Facebook page to find out if the code changes each Wednesday. If you love Lancome products, you will want to take advantage of this sample offer! 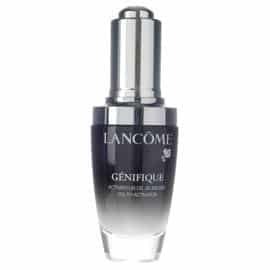 You can request a FREE Lancome sample of Visionnaire Nuit Beauty Sleep Perfector. To get your FREE sample, enter your mailing info into the sample request form. Don’t wait too long to request your FREE sample. This awesome Lancome freebie offer is likely to disappear quickly! 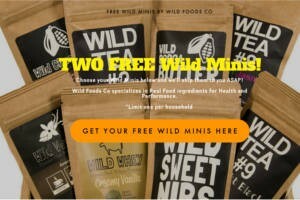 Right now, you can request awesome FREE samples from Wild Foods Co! You can select 2 samples from a variety of teas, coffees, whey proteins, and other products. To get your Wild Minis samples, just select your freebies, complete the sample request form, and submit. This offer is limited to one per household. Order your freebies while you can, because this offer is hot!